KAMPALA – Makerere Guild elections; People Power’ Julius Kateregga was on Friday 15 elected Makerere University 85th guild president after beating his rivals in a highly contested election. Mr. Kateregga, a second-year student of Bachelor of Arts with Education, who stood under the People Power banner polled 3,912 votes followed and closely followed by another People Power candidate and closest rival, Joshua Mukisa, a 3rd year Law student who gathered 3,365 votes. The ruling National Resistance Movement [NRM] candidate Julian Taliwaku came in third place with 1,465 votes while Forum for Democratic Change (FDC) official candidate Milly Namuddu, a second-year Bachelor of Education (Arts) student, came in fourth place with 1, 298 votes only. George Mutumba better known as O-M-G, a second-year student of Development Studies got 866 votes, David Musiri, a second year student of Bachelor of Commerce got 637 votes, Winter Nsimire Muhangi, a third-year Bachelor of Science in Civil Engineering got 81 votes, NRM’s Arinda Osbert got 55 votes and Umaru Wageya, a second-year student of Bachelor of Economics managed 44 votes. Makerere Vice Chancellor Prof Barnabas Nawangwe was the first to congratulate Kateregga upon being elected the 85th guild president. On Saturday, March 16, President Yoweri Museveni told ruling party lawmakers that stoppage of Ugandan exports to Rwanda will have no impact to the economy. Calling the Uganda-Rwanda ongoing standoff “these temporary things”, Museveni said Uganda exports to much bigger markets like Kenya, South Sudan, and Ethiopia. Museveni was speaking to National Resistance Movement (NRM) Parliamentary Caucus retreat going-on at the National Leadership Institute (NALI), Kyankwanzi. “When there is a problem here, there is another compensatory opportunity somewhere else,” said Museveni, adding that from Ethiopia alone, earnings reach $700m. On Wednesday, Uganda’s Foreign Affairs Ministry Sam Kutesa issued a statement accusing Rwanda of introducing an export permit system for those that intend to import goods to Uganda. In the aftermath, WhatsApp co-founder Brian Acton urged the world to ‘delete’ their Facebook accounts ‘now’, Mail has reported. Speaking to university students at Stanford University in the US, Mr. Acton, now the head of non-profit WhatsApp rival Signal, blasted Facebook Chief Executive Officer (CEO) Mark Zuckerberg for allegedly selling users’ data. 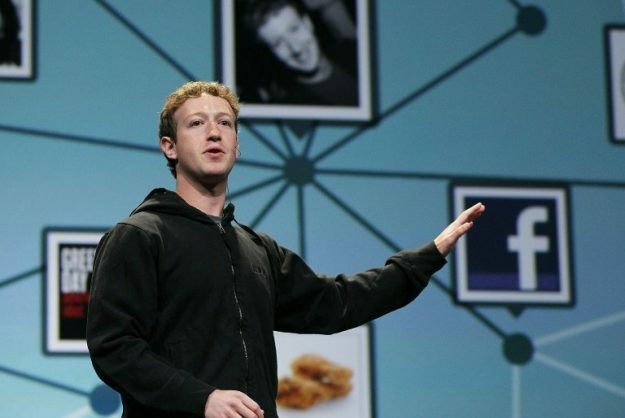 He called for people to ‘reject’ Facebook by deleting its family of apps from their smartphones and other devices. The shocking call came after the world’s largest social network that was beset by a string of privacy scandals which Facebook continues to deny. Mr. Acton has been openly critical of Silicon Valley firms like Facebook and Google in the past for their seemingly profit-driven approach at the expense of people’s data. Mr. Acton is one of the great minds behind what we know as WhatsApp today. He along with Jan Koum founded the company in 2009 and later it sold out to Facebook in 2014 for $19 billion. “We give them the power. That’s the bad part. We buy their products. We sign up for these websites. Delete Facebook, right?” Mr. Acton said. Meanwhile, the Kyadondo East Member of Parliament, Robert Kyagulanyi alias Bobi Wine, on Sunday, March 17, thrilled and sent Lusanja eviction victims in ululations after delivering 100 bags of cement. The legislator handed over the items to the local leaders amid praises. 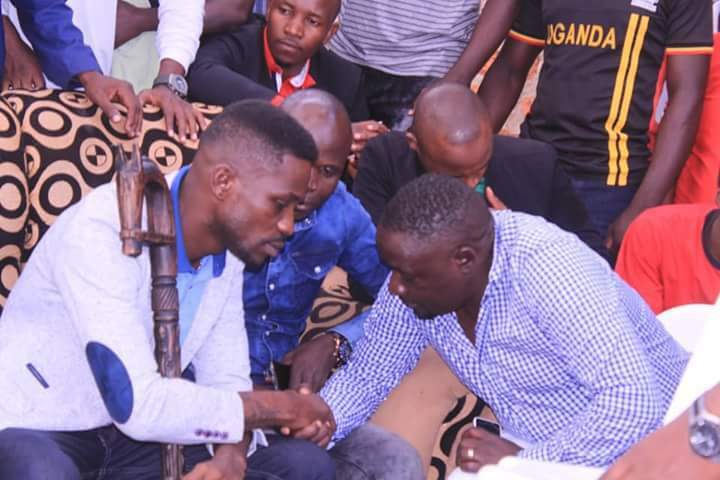 ‘We were born to create a difference in our societies, especially for the disadvantaged, as the persons behind the evictions were protected by the police,” said Kyagulanyi in dismay. In October 2018, Robert Kyagulanyi assured people of Lusanja that he and his colleagues in parliament were ready and willing to assist them in rebuilding their area despite what they suffered. He made the remarks while visiting Lusanja, days after high court judge John Eudes Keitirima ruled that the chief magistrate Court at Nabweru that ordered the eviction of the people of Lusanja had no jurisdiction to handle the case. On the same day, the National Resistance Movement (NRM) Parliamentary Caucus followed the party’s Central Executive Committee (CEC) in endorsing President Yoweri Kaguta Museveni as the party’s flag bearer in the 2021 elections. In a statement, Mr Rogers Mulindwa, the NRM senior manager for information, Communication & Public Relations, said the position by the NRM Legislators was taken shortly after the presentation by the Party Secretary General, Ms Justine Kasule Lumumba, on the topic “Towards 2021: Milestones & Strategies for the NRM Party”. During her address, SG Lumumba read out to members the Chobe resolutions. 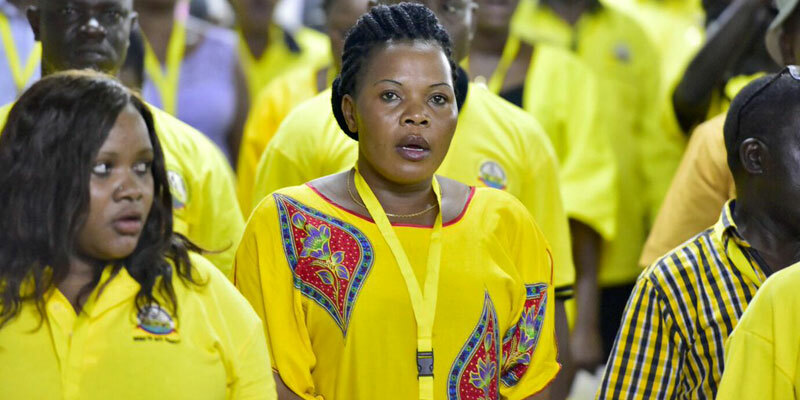 The motion mover, Ms Hellen Asamo, representing PWDs in Eastern Region, said Uganda needs President Museveni now more than ever before for his firm guidance and mentorship of the Party Membership. Her position was unanimously seconded before the legislators took a break. The sessions resume later this afternoon with a debate on lining up for the party internal elections as also proposed by CEC. 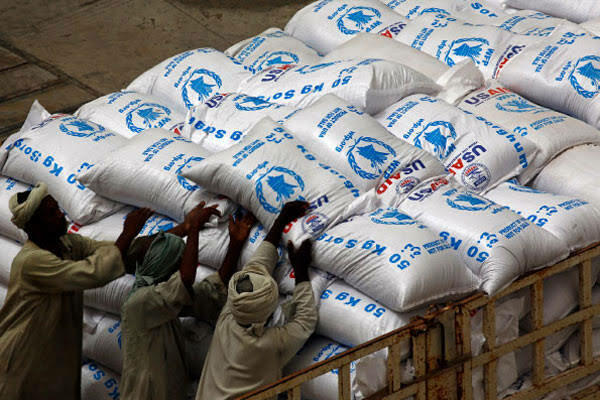 Besides that, the World Food Programme (WFP) on Sunday, March 18, suspended distributing Super Cereal – a fortified blended food – in Uganda after scores of people were taken sick and were admitted to health centres following local food distributions in the Karamoja region.